Emily Explains : What does SSK really mean? We’ve had a busy week here in the design office with a photo shoot, design meetings and even a visit to the Yarn Sellar in Maine (Thank you, Carrie!). I am so happy to be back in the office today to write and reflect on it all. Since starting at Berroco, I’ve realized how important it is for me to go back and re-establish my basic knitting techniques. I want to really understand why a pattern calls for certain techniques at certain times. I feel relatively confident reading patterns, but feel hesitant as I am preparing to write my own. This week I have been practicing and trying to really understand how to find my gauge with the help from Norah and Martha, who have been so patient and kind in helping me with this endless struggle. In my spare time, I started knitting Lowry, a beautifully artistic pattern from Norah Gaughan vol. 13. I am already learning so much from this pattern alone. 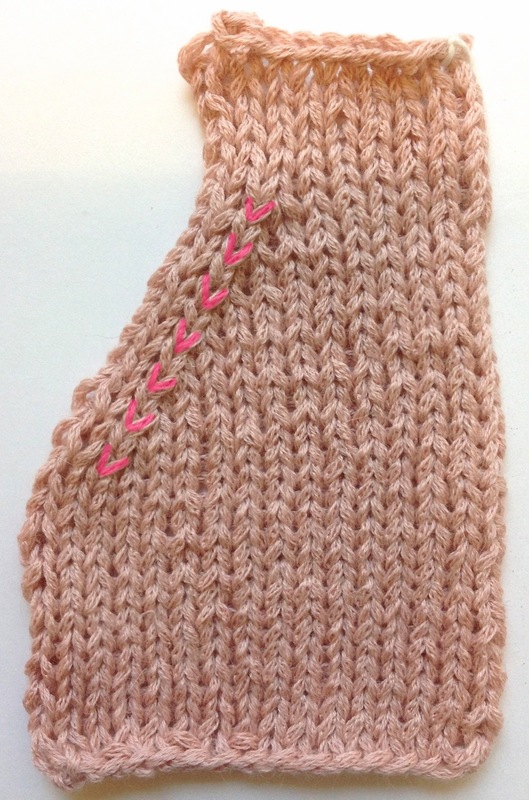 Start by slipping two stitches, one at a time, from the left needle and placing them on the right needle knitwise. Next, insert the left needle into the front of two stitches of right needle. Then knit them together. For a better visual, watch Amanda’s wonderful video on decreases. In the past I’ve wondered why a pattern sometimes calls for K2tog and other times calls for SSK? Don’t they both do the same thing ( decrease 1 stitch )? What’s the difference? SSK stitches slant to the left. K2tog stitches slant to the right. Using K2TOG and SSK together creates beautiful symmetry to your piece. I hope this helps! You might want to know that the video doesn’t actually get to the SSK and SSSK. Otherwise, your videos are really clear and helpful! Oh my goodness! Thank you for letting us know! We just fixed the video. 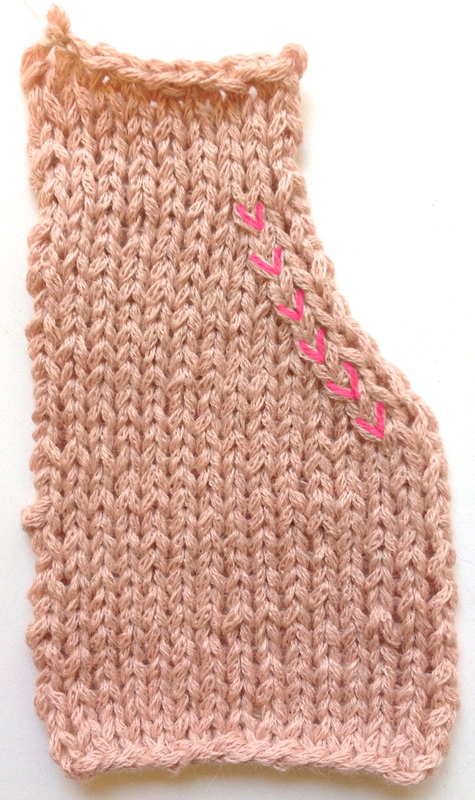 Slip slip as if to knit each stitch….not intuitively obvious to me when I first tried this stitch. When I see ssk in a pattern I say to myself slip, slip, knit together. I hope the video and pictures help! I think Krayola’s point was that the stitches should be slipped knitwise, rather than purlwise. I, too, once slipped my SSK purlwise and wondered why it looked a little funny. How you slip your stitches does matter and definitely can be tricky! I prefer the slip as to knit, slip as to purl, K2TOG as a smoother left leaning decrease. Usually when the ssk is explained it just says “slip two stitches” but it doesn’t say together or one at a time. Which is it? And why don’t they specify? I think it is actually imperative that the stitches be slipped knitwise one at a time. If you slip them together knitwise and then knit them together (through the back loop) the resulting decrease would be a standard right-leaning k2tog. There is a center decrease, which I wish you would discuss. It can be used to decrease 1, 2, or 3 sts. I don’t know how it’s done, though. Thanks! at the end of this video. I hope this helps!